Star Wars Battlefront sure was a success in 2015, shifting millions of copies and no doubt making game publisher Electronic Arts very happy. But not everyone was pleased with this online multiplayer game set in the Star Wars universe, despite the fact that it perfectly captured the Star Wars atmosphere and offered a slew of entertaining multiplayer modes. Because the truth is that Star Wars Battlefront was a rather shallow game overall, and you could see everything it had to offer in just a few hours, while Battlefront also shipped without a single player campaign, something that even Star Wars actor John Boyega quipped about back then. 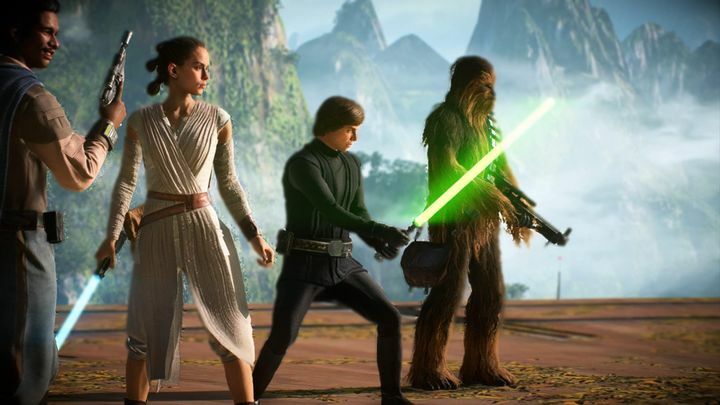 This is something that developer DICE (the people behind 2016’s Battlefield 1) have sought to remedy with the sequel, which does feature a single player campaign set between the events of Return of the Jedi and The Force Awakens. 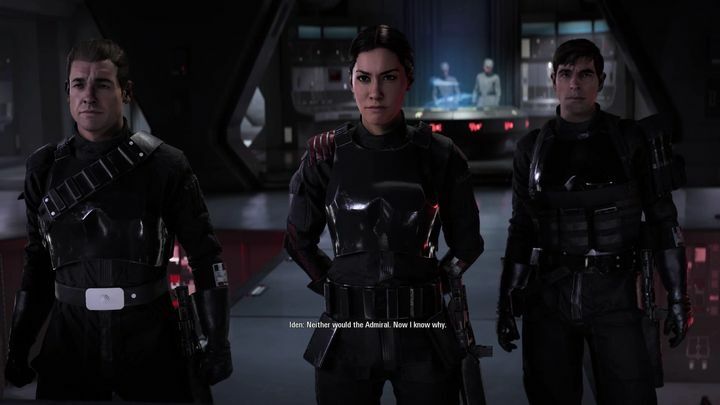 Something that will quickly catch your eye about the campaign is that it not only stars a female protagonist, but also that main character Iden Versio fights for the Empire as a member of the deadly Inferno Squad. The campaign’s story is told through stunning-looking cinematics, and while the story is only so-so (you’ll see the major plot twist coming from a mile away), the story itself is interesting enough to keep you playing through to the end. Plus, it’s clear that any Star Wars fan worth his salt would be willing to sit through another story set in George Lucas’ iconic sci-fi universe, even if that story isn’t obviously the best to date, not by a mile. At least there’s plenty of variety in Star Wars Battlefront II’s campaign. Aside from the typical first-person shooter sections in which you get to gun down Rebel soldiers, throughout the campaign you will also get to take control of vehicles such as an AT-AT walker, embark on an X-Wing surface mission, fight on the surface of a Star Destroyer, and even take control of an orbital cannon to destroy enemy walkers at some point. Other missions take place in space, letting you take control of iconic Star Wars spaceships like the Tie Fighter (actually these space combat sections play like the old Tie Fighter games by LucasArts, for those old enough to remember them…), but I did not find these as involving or interesting as the campaign missions taking place on the ground. The single player campaign doesn’t tell a great story, but is varied and entertaining enough to keep you playing through to the end. There are also some missions in which the action switches to third-person and you get to control iconic Star Wars characters like Luke Skywalker, Han Solo, Lando Calrissian, Kylo Ren and others. And I enjoyed playing as characters like Luke Skywalker in the game (even if what I mostly did during his mission was squash bugs with my lightsabre in a cave), plus there’s an exciting mission near the end in which you play as Lando Calrissian and have to escape from an Imperial base that’s about to blow up. These hero characters have special abilities that you can trigger with the shoulder buttons, like Luke’s Force push and Lando’s smoke bombs. These are no doubt fun to use but you can get by without resorting to them much throughout, even if it’s clear the campaign isn’t so easy to play through as enemies don’t rest on their laurels and attack from all sides, throw grenades at you to flush you out of cover and some bits (like the last chapter in particular) can be quite challenging. There’s the occasional AI glitch, though, and seeing enemies shot explosive barrels right in front of them, or turn their backs on you as you approach hurts the sense of immersion a bit throughout the campaign. Also, the additional mini-campaign which DICE put out after the game’s release (titled “Insurrection”) not only ties in nicely with the events of The Force Awakens, but also offers several difficulty levels to choose from, which is welcome. Despite this, the campaign offers little replay value and you’re unlikely to return to it once you’re done, although you can replay any mission you’ve already completed if you so wish. I also did not like the way I was guided along a linear path throughout most of the game. Actually, there’s a complete lack of freedom here, and there are always missions markers that point you to your next objective, while the game will prompt you to return to the mission area if you deviate off the beaten track, or risk failing the mission… At least you’ll never have trouble finding your way through the game’s various areas, though. There are also some gameplay mechanics that are underused, such as takedowns, which are possible to perform in the campaign, but I hardly resorted to them as firefights would break out the second any enemy in the vicinity saw me. And overall, despite it being fun throughout, the campaign does feel a little inconsistent truth to be told. But at least the single campaign is varied and difficult enough to serve as training for the multiplayer, which no doubt is the real meat of the game. You need to watch your every step in multiplayer matches, as sneaky human opponents are always waiting around the corner. Regarding the multiplayer, Star Wars Battlefront II boasts a wealth of entertaining multiplayer modes. These are Galactic Assault, Starfighter Assault, Heroes vs Villains, Strike and Blast. The main course here is the Galactic Assault mode, which is a multi-stage, multi-objective multiplayer match taking place on a variety of huge maps. 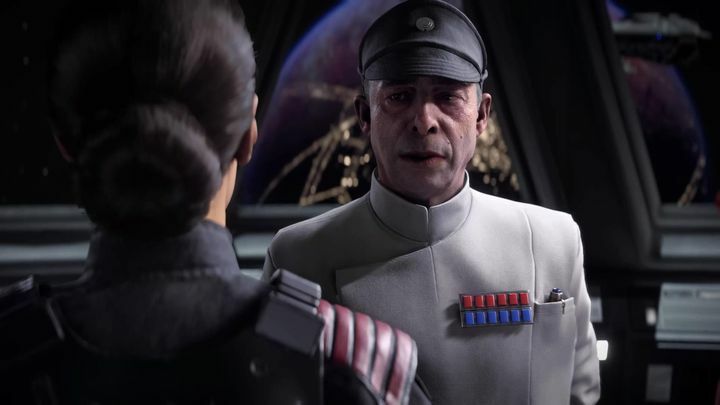 Here you either join the attacking or defending team (which can be a faction such as the Rebel Alliance or the First Order) and either take control of a point or prevent the opposing team from doing so. Also, you might be tasked with escorting a vehicle such as an AT & AT walker, or attempt to destroy it depending on which side you are on. Other objectives include seizing a package and returning it to an extraction point, or preventing the opposing side from doing this. 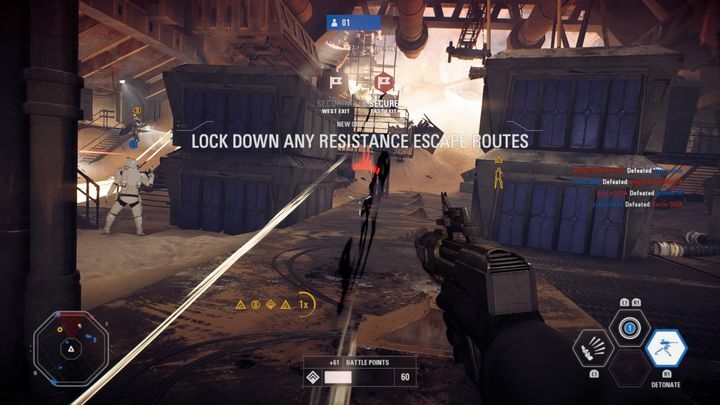 As you complete objectives, you push further into enemy territory, with the action taking place in a new area of the map, which as a said before, are huge, and include iconic Star Wars locations such as the Death Star, Mos Eisley, and others. The action can turn chaotic here at times, though, but playing Galactic Assault sure is an exciting and entertaining experience overall. You can play as four classes here: Assault, Heavy, Officer and Specialist. Assault soldiers scour the front lines for enemies to take out, while Heavy units pack some serious firepower, but are slower and can be sitting ducks without support. Officers can deploy static turrets to help their teammates and can play a support role well, while Specialists excel at taking out enemies at a distance with their sniper rifles. You can also play as special units in matches such as heroes like Kylo Ren or Chewbacca or take command of vehicles like Tie Fighters for air support, which sure adds variety to Star Wars Battlefront II’s Galactic Assault mode. I tended to favour the Specialist unit throughout my playthrough, as I prefer long-range combat, although some maps like Mos Eisley with its narrow streets and few sniping points were not so great for this unit type, while I also noticed most players I went against online tended to favour the Assault and Heavy classes in order to score the most kills and advance in the game’s progression system, which I’ll get to later. It always hurts to fall in battle, but you’ll get better with practice. Aside from Galactic Assault, other game modes include Strike, which is a smaller-scale version of the former with less players (20 vs 40 in Assault), and takes place over a series of rounds, and might be more your cup of tea if you’re looking for a quick match. There’s also Starfighter Assault, which is similar to Galactic Assault but puts you in control of spaceships like bombers and fighters, attempting to destroy enemy targets like capital ships, or defend them, depending on which side you’re on. Overall, though, I did not find the spaceship combat as compelling as the other modes, including Blast (a team deathmatch mode) and my favourite of the lot, Heroes vs Villains. Heroes vs Villains pits two teams of four players against each other, and you get to choose from iconic Star Wars characters like Boba Fett, Darth Vader and Luke Skywalker to play as, while characters from the new trilogy like Finn and Captain Phasma are also playable. Here you either choose to attack a target from the opposing team or defend a target (one of your team members), with the game announcing who’s the new target after the current one falls in battle. I found this mode to be hectic and fun, although lightsabre-wielding characters like Darth Vader do appear to have the advantage here, and racked up the most kills in the games I played. Thankfully, though, after you go down in a match an information panel reveals the name of the player who killed you and the weapon they used to do this. You also see the other player’s rank and any Star Cards they may have equipped, which lets you get acquainted with other people’s strategies, helping you improve your play. These Star Cards form part of the game’s progression system, and you can receive new ones by opening in-game loot crates, and craft them using crafting parts. You can get loot crates and crafting parts by achieving “career milestones” such as completing missions in the single player campaign, finding hidden items, playing as a specific soldier class for a certain amount in multiplayer or racking up a specific number of kills. Heroes vs Villains is an addictive multiplayer mode that will surely keep you coming back for more. 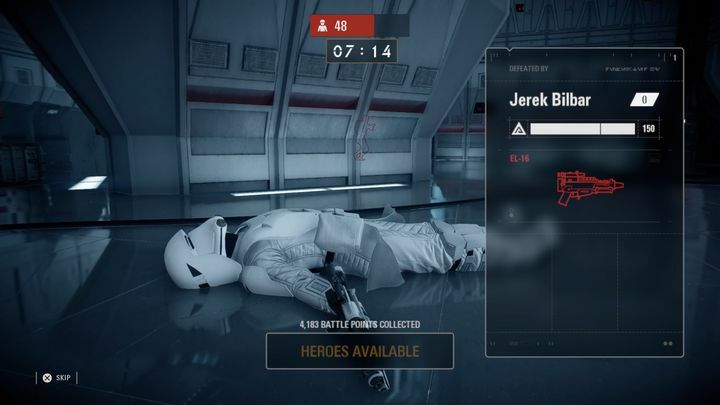 Getting access to better Star Cards (such as the “Survivalist” Star Card, which regenerates your character’s health quicker), sure helps, as these give you an advantage in-game, letting you rack up more kills in matches and advance in rank faster. Aside from crates and crafting parts, you can also be rewarded with credits. These can be used to unlock hero characters which are not initially available, such as Darth Vader and Emperor Palpatine. Truth be told, though, Star Wars Battlefront II’s progression system is a bit convoluted. This is likely the result of developer DICE having removed microtransactions from the game at the eleventh hour due to fan pressure. Nonetheless, it’s still clear Battlefront II’s progression system was designed so that players would pay for this gear with microtransactions (the infamous “pay to win” system) or spend hours grinding, and it shows. Regarding the game’s technical aspects, there’s no doubt Star Wars Battlefront II’s graphics are great, with the game boasting very high quality textures and lighting across all its maps. And there’s an abundance of impressive-looking scenarios here, such as Endor with its gigantic trees and streams, the metallic interiors and computer panels of the Death Star, and the exotic, colourful architecture Naboo. There’s a real sense of place when you’re playing in these Star Wars locations, plus spaceships such as Star Destroyers and space stations look suitably huge when you’re flying around in an X-Wing or Tie Fighter in the game’s space combat missions. Regarding the sound, the game features the usual mix of the classic Star Wars music by John Williams that still works so well. Plus, the game creates a compelling aural soundscape with its great sound effects, and you’ll be surrounded by explosions noises and laser gunfire when playing modes like Galactic Assault, adding to the sense of immersion. So, is this the Star Wars game to get if you’re looking for a great multiplayer experience and single player campaign? This depends on whether you already played its predecessor Star Wars Battlefront, and especially if you played the 2015 game to death there’s little new here, while clearly Star Wars Battlefront II’s single player campaign does not warrant a purchase on its own. And those who bought Battlefield 1 last year will also discover that developer DICE obviously does not reach the same heights here either. Judged on its own merits, though, Star Wars Battlefront II is still a recommended buy if you’re the sort of player who’s into this sort of game, and also a compelling package for Star Wars fans who are sure to enjoy DICE’s latest game.